Are you tired of having your car cluttered? 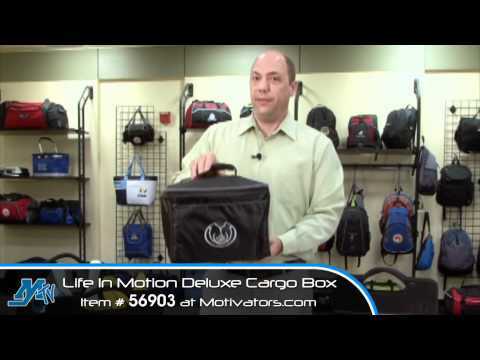 Simply add the custom imprinted Life in Motion Deluxe Cargo Box to any car or any house that needs organization and you'll find how convenient this promotional product can be. Collapsible when not in use, this cargo box has 3 large compartments with mesh pockets as well as removable cooler designed to fit in middle compartment. Perfect for families and fans of road trips. Embroidery is avaliable for this item. Please call 800-525-9600 for more information.